Starting today, we will begin the transition towards one single virtual currency on Empire Avenue/Empire.Kred. Vees was introduced as a points system for you to exchange towards Amazon and other Gift Cards. As we move towards a simpler and even more global and exciting Empire.Kred, we want to move to a single currency. To that effect we will be retiring Vees. 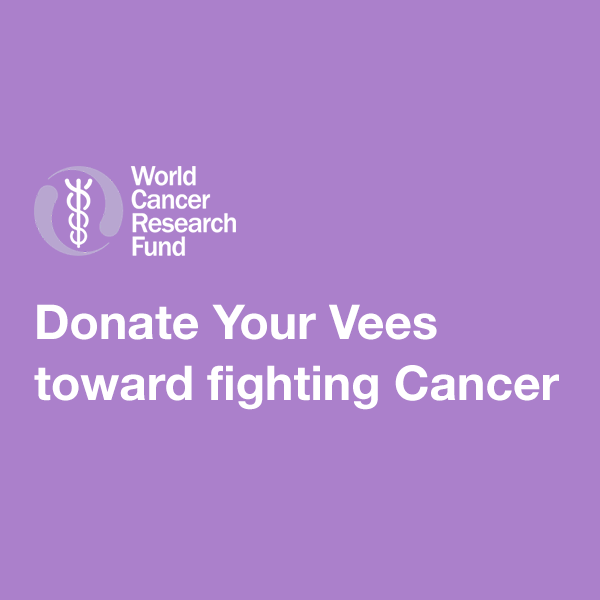 As an exciting option in phasing out Vees, we are launching a program to donate your Vees towards fighting cancer. For every 150V donated through our Shop page, we will donate $1 to the World Cancer Research Fund. Our goal is to reach $1000 or 150,000V, but if we surpass this goal we will consider donating more! Between now and August 20th, 2015, you will be able to exchange your Vees to Amazon Gift Cards as usual. After August 20th, 2015, the option to redeem Vees for Gift Cards will no longer be available. Until August 20th, 2015, you will be able to exchange Vees for Eaves at an awesome rate of 20,000E per 1V (compared to the usual 300E per 1V). After August 20th, 2015 we will exchange all Vees remaining to Eaves at this same great rate of 20,000E per 1V. 1. Will I ever be able to exchange Eaves for Gift Cards? We are investigating using one currency for all things including being able to exchange for rewards. However, we have not firmed any plans on how that will happen. 2. I bought Vees in the last two weeks, can I just get my money back? Yes, we will refund you for any Vees purchases in the past month. You must not have used the Vees that you purchased. Please submit a support request. 3. Can I offer Missions for Vees? No. From this point onwards there will be no more Missions for Vees. You must convert per the options of Gift Cards, Eaves or Charitable Donation. 4. Can I buy upgrades with Vees? Yes, you will be able to spend Vees for upgrades in the Empire Store until August 20th, 2015. Vees will not be available as an option after August 20th, 2015.